Justrite flame arrester self-closing steel safety funnel prevents dangerous spills when transferring flammable liquids. The large funnel measures at 275mm in diameter x 254mm in height and offers easy pouring during liquid waste collection. 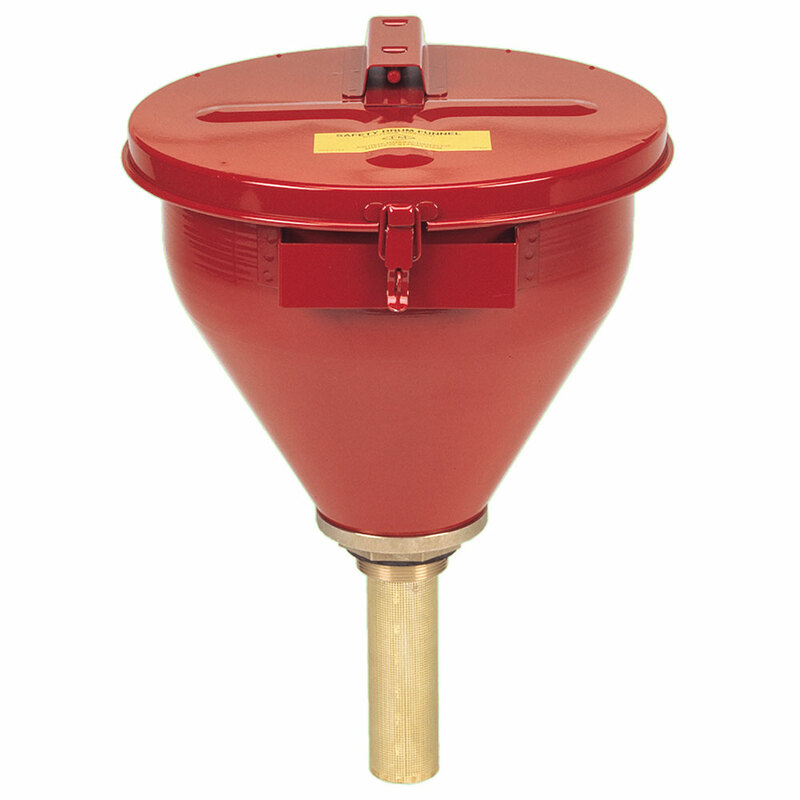 The funnel features a stay open lid and a built in flame arreser to prevent fire intrusion, it has a fusible link that melts at 165 degrees fahrenheit, the cover then automatically shuts in case of a fire to extinguish the flames.